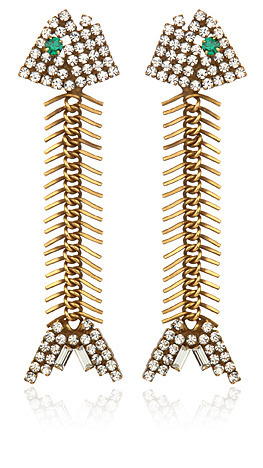 Recently I had been drooling over these Elizabeth Cole Crystal Fish earrings I saw online. Shelling out the $188 to buy the stunners wasn't an option so I took to finding a comparable pair for the cheap. 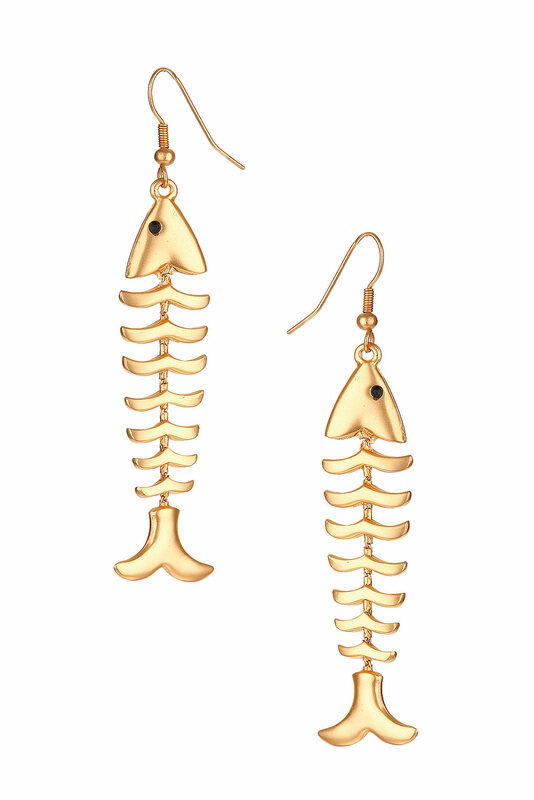 Luckily I came across Top Shop's Fish Bone Drop earrings which are an affordable $20. They aren't an exact match, but it does give me the look I was going for without doing too much damage on my wallet. I'm obsessed with wearing gold so with the spring approaching (though it's starting to feel more like summer down here in SC) I've been on the hunt for fun accessories to breathe a little life into my wardrobe. As for the rest of my spring/summer wardrobe... I'm still into burn out tees. They are my staple t-shirt with Victoria's Secret making my favorite one. I saw Target starting to make a few as well so that might be a nice alternative. I'm hooked on feather earrings and on the hunt for more to expand my selection. I gave up searching for the OPI crackle polish and instead found the China Glaze version at Sally's. The nice thing about the China Glaze version is that it comes in 5 different shades. In terms of bottoms I've been pretty consistent. The Gap makes my favorite jeans and honestly I don't need to search elsewhere. They have enough of a variety of styles and washes to please me. Sometimes you have to just stick with what's working. What are your staples for Spring/Summer?